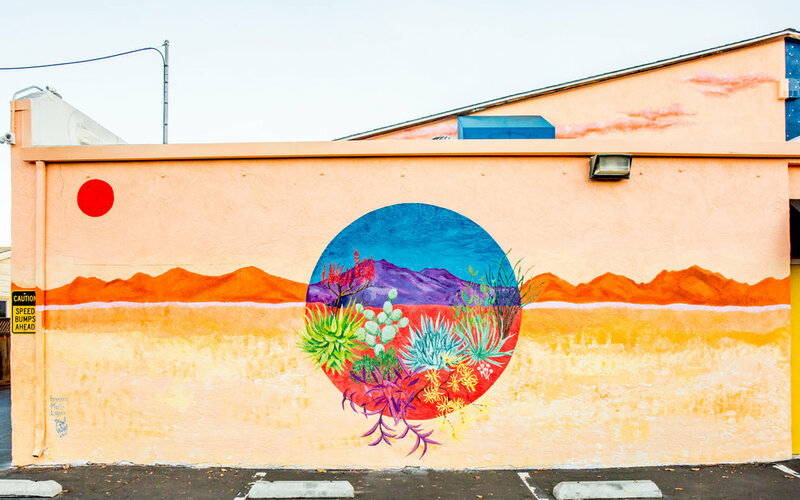 A large-scale mural located at the Alameda Artworks art studios in San Jose, CA. The scene depicts day and night with each circle filled with healing plants. 2018. Closeup of the left side of the Balance mural at Alameda Artworks in San Jose, CA. 2018. Closeup of the right side of the Balance mural at Alameda Artworks in San Jose, CA. 2018.